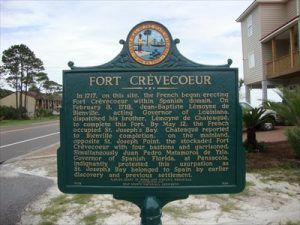 Fort Crevecoeur, meaning “broken heart”, began as a French fortification built in 1818 at Port St. Joe, Florida on land claimed by the Spanish. After establishing settlements in present-day Louisiana, Jean-Baptiste Lemoyne de Bienville, the acting Governor of Louisiana, sent an expedition to St. Joseph Bay in late 1717. There, near the site of today’s Port St. Joe, the French began to build the fort in an effort to extend their influence into the region. In February 1718, Bienville dispatched his brother, Lemoyne de Chateague, to complete the structure. In May 1718, the stockaded fort with four bastions was occupied by the French and garrisoned with 50 men. 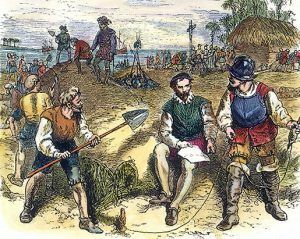 At that time, it was the strongest military outpost between Pensacola and St. Augustine. 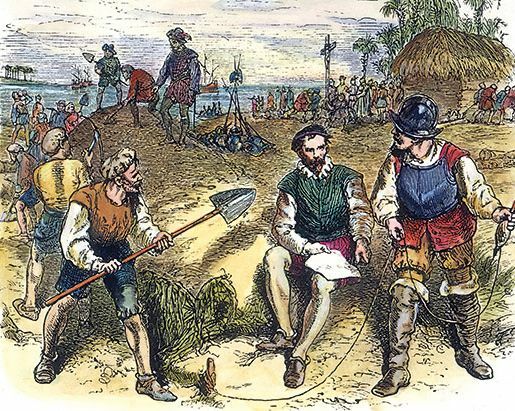 Juan Pedro Matamoros de Ysla, Governor of Spanish Florida at Pensacola, indignantly protested the building of the fort. The French Colonial Council then met and unanimously decided that the outpost was not worth fighting over and abandoned Fort Crevecoeur in August 1718. Spanish Captain, Joseph Primo De Rivera then took command of the fort along with 12 men. The fort was then intermittently occupied by the Spanish until 1722 when they dismantled it and shipped the materials to Pensacola. Today, the site today is located at the intersection of Columbus Street and Highway 98 in Port St. Joe, Florida. The site is indicated with a historic marker.